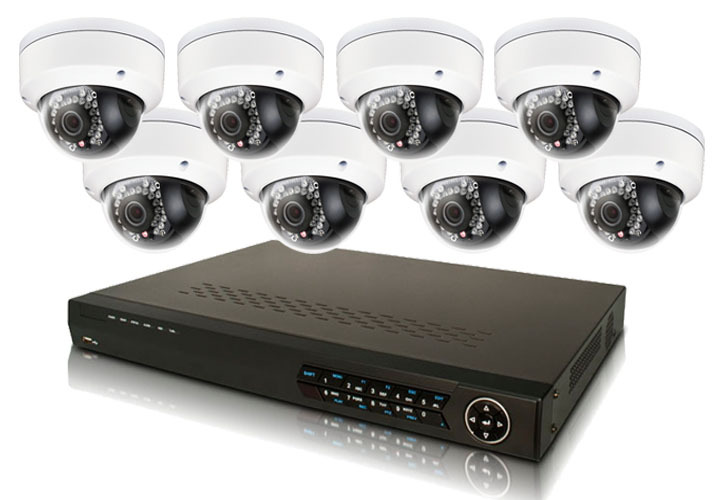 8 Camera IP Surveillance System with 3 MegaPixel Dome Cameras, Outdoor/Indoor, with NightVision. Plug&Play Installation. Do you need just 8 Cameras for now but you think you may need more in the future? Upgrade NVR to 16 Channel Model using drop-down options above. Whenever you are ready just purchase additional cameras and cables and expand your CCTV System. 8CH simultaneous playback at D1 resolution.